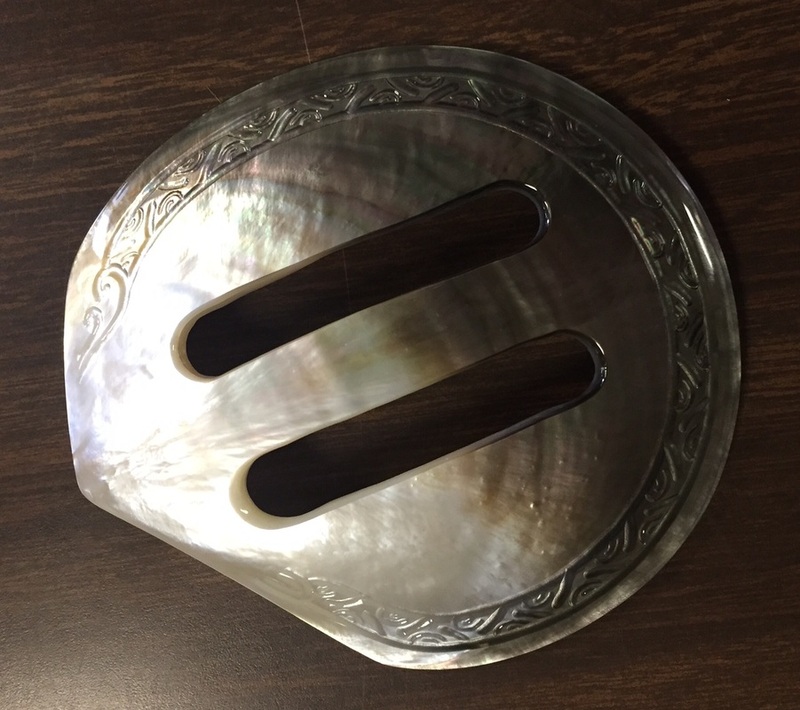 Beautifully hand carved mother of pearl pareau buckle. Hand made in Tahiti. Excellent way to secure your sarong or pareau.